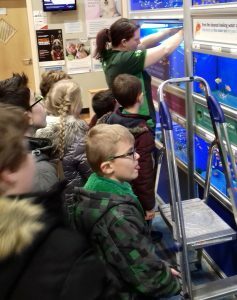 Today Wiggins Class went to the pet shop to choose some fish and snails for our fish tank. We had a wonderful time and were invited to stroke the beautiful rabbits in the store too. The children thought the hamsters in their wheels were hilarious! 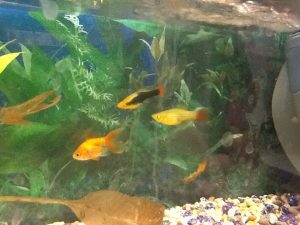 It was tough deciding which fish to buy and bring back to school but we managed eventually. We are all looking forward to having them with us in the class, watching them grow and taking turns to feed them.